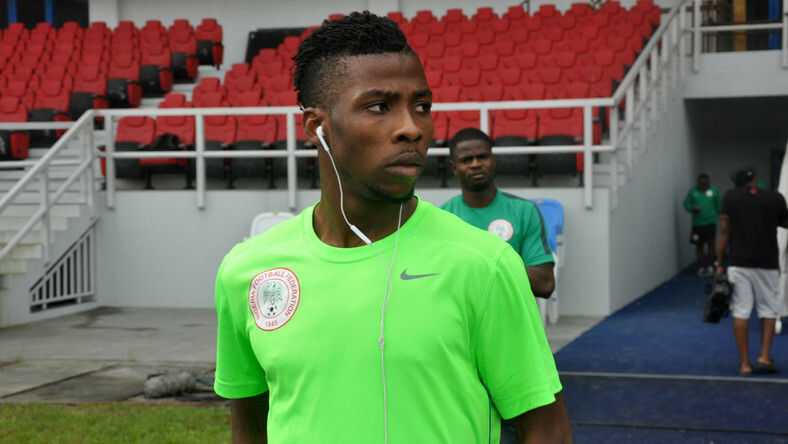 Super Eagles coach, Gernor Rohr has spoken out about why he dropped Kelechi Iheanacho from his squad. Gernot Rohr, the Super Eagles boss has delivered a scathing assessment of Kelechi Iheanacho after he left out of the forward from his squad to face Seychelles and Egypt during the international break. Rohr left out Iheanacho for the first time since he took over as Super Eagles boss and the Franco-German coach said he has not been impressed by the Leicester City forward. Iheanacho’s has had an underwhelming season at Leicester City where he has managed just one goal in 25 Premier League outings so far this term. According to Pulse, when he was asked about Iheanacho’s absence from the squad at a press conference ahead of the Seychelles game, Rohr said he wanted to give other players a chance. “I told him why he is not on the list. I want to see other strikers,” Rohr said. He also said he left Iheanacho so the forward could stay back at Leicester City to work and impress new manager Brendan Rodgers. Then came the scathing warning to the 22-year-old. “Also we are not really satisfied with his performances in the last time and I think he has to be more professional,” Rohr added. Brendan Rodgers was announced as the coach of Leicester City on February 26, 2019. According to the Leicester Mercury, Rodgers said it has been hard for Iheanacho to rise through the ranks because of the experience of Jamie Vardy. "It's been hard for Kel [Iheanacho] because he's come in and he's been a secondary striker at Manchester City. All of a sudden he makes a move for big money and I think everyone can see the potential. “But he's come in to one of the top strikers in the league (Jamie Vardy) and I think it's very hard to displace that" said Rodgers as quoted by Leicester Mercury.